No one understands better than a marketing professional how much emotional triggers impact our decisions. A feeling that your choice matters. A hunger for power. A desire to belong. A belief that you are smarter, more sophisticated, more right. 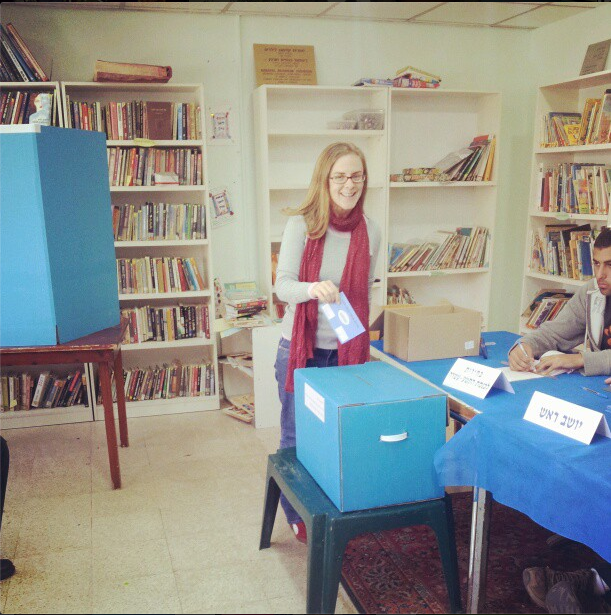 I voted today in Israel for the first time. The label draws me in. I reach for the bottle, seduced by the design. Even the professional may be enchanted by marketing. But I buy the bottle anyway. And while I know the quality of the label isn’t necessarily indicative of the quality of the product, I remain hopeful. I buy the bottle because a person that cares so much about his label may indeed care as much about his product. If not, at the very least, if he was savvy enough to entice and convince a savvy marketing professional, he deserves my purchase. I almost voted Meretz. I almost voted Hatnuah. I never even considered Bennett, though I appreciated his marketing savvy. And Bibi lost my attention long ago. I voted for the pretty label. And the pretty label wasn’t Yair Lapid. He’s not my type. The pretty label was freshness. Hopefulness. Youth. Passion. Engagement. Community. Diversity. And that I may be an instrument of change. But, Yesh Atid: Listen up. Don’t be the bottle of wine I have to apologize for. Don’t be the bottle of wine that leaves a terrible after taste in my mouth. Don’t be a bottle of wine that ruins the dinner. Be the bottle of wine that makes me feel not just like a savvy marketer, but a trendsetting prophetess. According to early exit polls, you’re backing a surprise black horse! Mazeltov! It’s amazing. A great story to tell my kids about how you should keep running as fast as you can, no looking back until after you’ve passed the finish line.